Welcome to The Avenue at Montville luxury accommodation in the heart of the Sunshine Coast Hinterland. Far from the hustle and bustle of city life, we offer guests two accommodation options – relax and reconnect in an intimate cottage especially designed for couples, or simply get together with friends and family in the elegant, four-bedroom house with all the comforts of home. 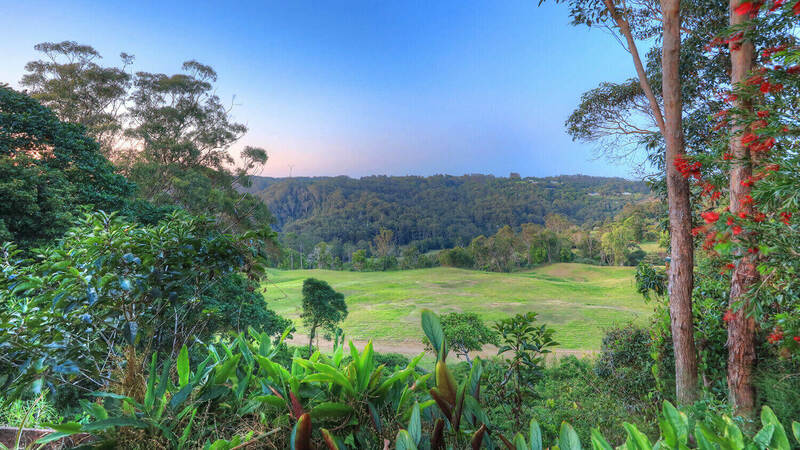 Set in 1 1/2 acres of lovely gardens, our stylish accommodation provides an authentic country experience, peace and tranquility, and stunning views across the Valley to Kondalilla National Park. Located close to the picturesque mountain village of Montville, The Avenue at Montville is ideally located within easy access of restaurants, shops, local tourist attractions and Hinterland wedding venues so you can enjoy everything on offer without traveling long distances from your accommodation. Your stay in the cottage includes generous breakfast provisions so you can prepare and enjoy a hot breakfast at any time that suits your plans for the day while your stay in the house includes continental breakfast provisions. With dishwashers in both, coffee machines, sandwich makers, Twinings tea and many other extras, food preparation is made easy so you can just relax! If you are ready to slip away to Montville for a well-earned break, check out our beautiful accommodation and make a booking now. We look forward to welcoming you to The Avenue soon.